This is a new anvilfire section separate from our Stories and Book Reviews. 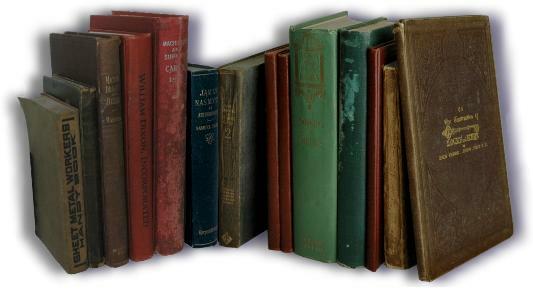 For many years we have been collecting old out of print books and have decided to make those that we can available. PDF versions of these eBooks will be made available for download in the future. Written by John Chubb, 1850, 36 pages. 10 ilustrations. 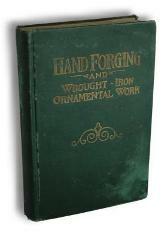 A primary resource of the history of Locksmithing. Written as an engineering society report by the leading manufacturer. Includes an added HTML Table of Contents. Written by Thomas F. Googerty, Popular Mechanics Company. Copyright 1911, 197 pages. 122 ilustrations. 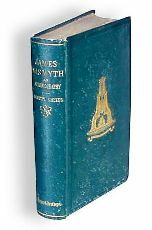 One of the earliest text books on blacksmithing. Written by a artist blacksmith instructor it has a clarity not found in many books. Includes an HTML Table of Contents, illustration index as well as alphabetical index. Written by Charles Conrad Sleffel, Doubleday, Page and Company. Copyright 1911, 429 pages. Well ilustrated. 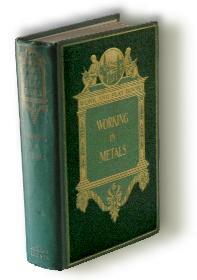 One of the best out of print books on blacksmithing and non-ferrous metalwork. Hundreds of illustrated projects. Now exclusively on anvilfire.com. One of the earliest on-line texts. Hosted on anvilfire.com since 2001. The life and times of one of the most prolific British inventors of the Industrial Revolution. Inventor of the Shaper, Steam Power Hammer, Lathe Reversing Mechanism, and many other machines and devices still in use today. More Coming! As these time permits we will add avaialable books and catalogs on Blacksmithing, Locksmithing, Machine Work and related subjects. IF you have a possible title to conver to an eBook let us know. We will see if we can obtain it.